If you’ve ever dreamed of living in a prestigious Highland Park home that still feels cozy, your wish can be granted thanks to this charming off-market listing. Located on a rare half-acre plus lot right on a creek, this property will definitely steal some hearts. And Like all Private Offerings presented by Allie Beth Allman & Associates, it is a very special, off-market listing exclusive to our readers on CandysDirt.com. As you cruise into the horseshoe driveway up to the elegant porte-cochère, you can just imagine tossing your keys onto the foyer table as you waltz through the front door. Breathe deeply. A perfect mix of grand and inviting, the beautiful interiors instantly relax you after a day of errands and strife, as they effortlessly transform into a gorgeous backdrop for a lavish dinner party by evening. Creekside living on a beautiful lot usually comes at a hefty price. 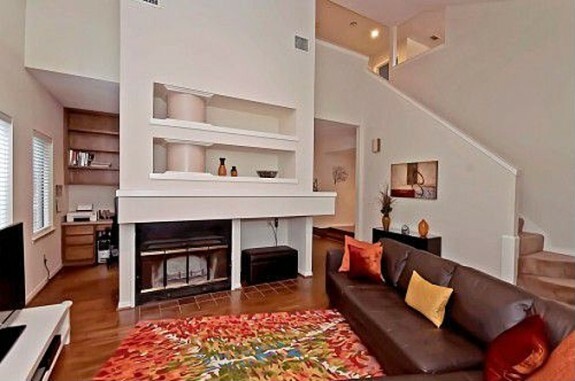 But our Tuesday Two Hundred is a budget-friendly find with a secluded feel. Located at 10930 Listi Dr. in Lake Highlands, this home offers great outdoor living options, with a wraparound deck and a quiet, peaceful setting. The interior features open living and dining areas, a floor-to-ceiling brick fireplace, hardwood floors, and a downstairs master. This home has three bedrooms, two bathrooms, and 1,629 square feet on two stories, built in 1980. Bonus: it’s in the attendance zone for Wallace Elementary, a family favorite in East Dallas. This home was just listed Saturday, so let’s take a look before it gets snatched up! If you have young children, this isn’t the house for you. Everyone else, listen up: THIS HOUSE IS AH-MAZING. 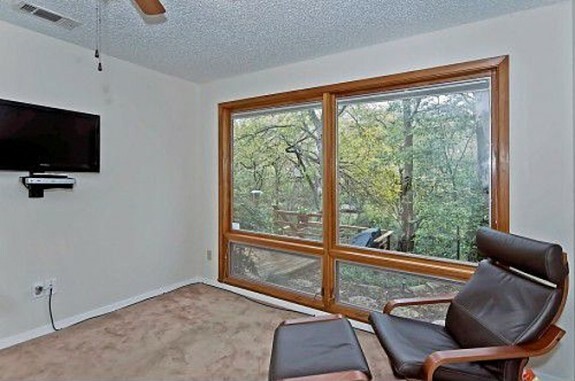 Because this home is situated pretty much right on top of a creek, it would be exceptionally hard to keep a willful toddler from injuring himself or costing you your sanity, so that’s why I say that this home isn’t for families with little ones. 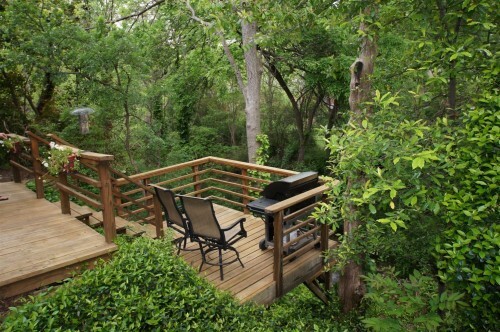 On the flip-side, the creek view is fantastic, and would you get a load of that deck? Beautiful. Our Tuesday Two Hundred this week is a hip pocket listing in Lochwood courtesy of Prudential Texas Properties agent Phil Hobson. This beauty, which is listed at $255,000 (a steal!!!) 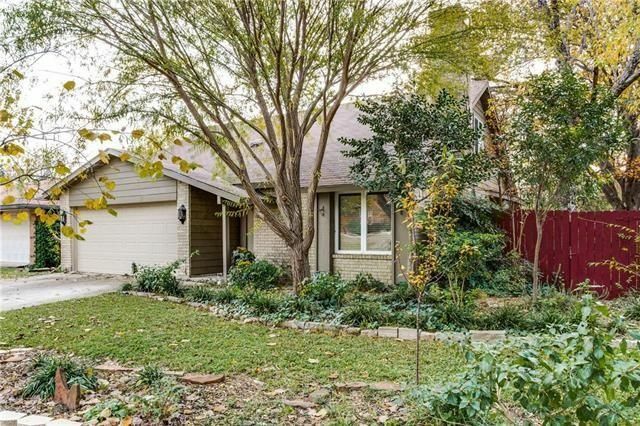 has three bedrooms, three baths, a fully updated kitchen, lots of natural light, and more than 1,700 square feet practically next door to White Rock Lake. 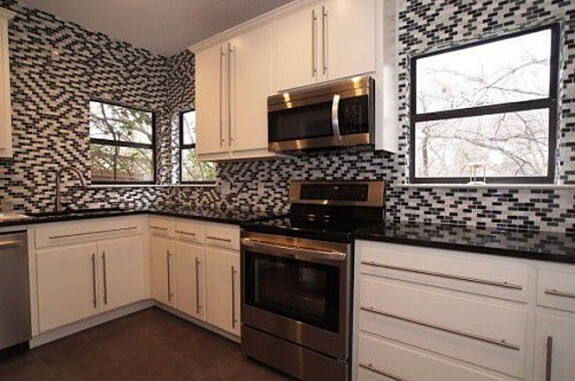 The kitchen at 11311 Lanewood is pretty much brand new, too, with all stainless appliances, new cabinets, and a mosaic backsplash. There are granite counters, too, as well as a mosaic backsplash and super fun cabinet hardware. 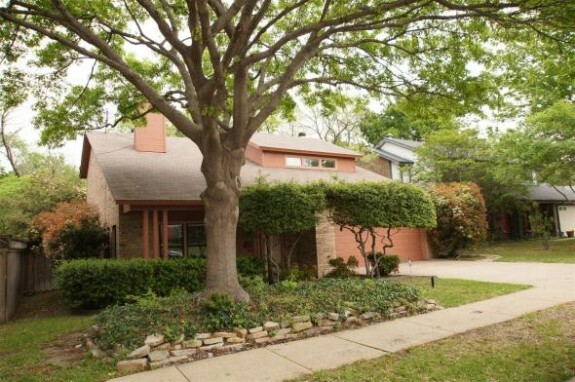 The best thing about this home is that it’s a two-story in an area that is really insulated from much of Dallas. You’re not too close or too far from major thoroughfares. There’s a supportive neighborhood that looks out for one another. There’s a great park nearby. And as I mentioned earlier, you’re close to White Rock Lake. What do you love best about this house?